.. or is it Android? 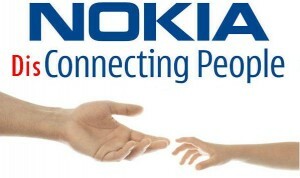 Nokia announced the biggest job cut in its history sending shock-waves to Finland’s economy. Windows platform as an alternate of Symbian looks weird choice, but then it was a war between Google and Microsoft, and MS seems to have won the battle for now. That being said, Nokia might have to include Android phones in its kitty in future. Today no company can ignore Android if it does not have a strong alternative in place.